Happy Birthday Holly Ross at NTEN! 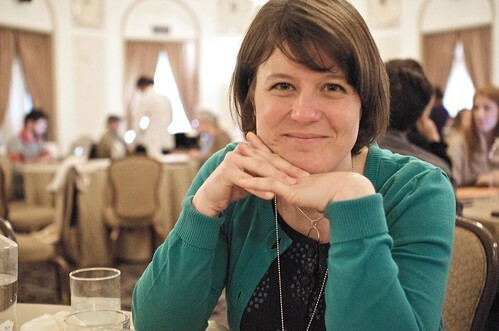 Holly Ross is the dynamic leader of the Nonprofit Technology Network (NTEN), the membership organization that supports nonprofit technology professionals. Holly has not only been the visionary leader of NTEN for years, but she has been in the center of efforts to professionalize and support “Nptechies.” It has been through Holly’s extraordinary creativity and energy that NTEN’s signature event, The Nonprofit Technology Conference, has become one of the nonprofit industry’s must attend event. (Better hurry up and register before it sells out). I noticed on Facebook that it is Holly’s birthday tomorrow and she has set up a birthday wish. She’s raising money for NTEN, so if you want to celebrate Holly’s birthday, let’s make her birthday wish come true!